Some children are dealt a challenging hand the minute they are born. They can hugely be affected by a chemical imbalance in their bodies which they have no control over whatsoever. These imbalances can cause children to behave in an antisocial manner as they find it very difficult to communicate. This is particularly true for children who have been diagnosed with either Attention Deficit Disorder, or Autism. In order to support children suffering from these ailments, American, Franklin Levinson, introduced Equine Facilitated Learning (EFL) to children with serious emotional challenges. Even though horse therapy has been around for ages, Levinson brought the idea to the next level by introducing it to difficult-to-handle children who exhibit antisocial behaviors. 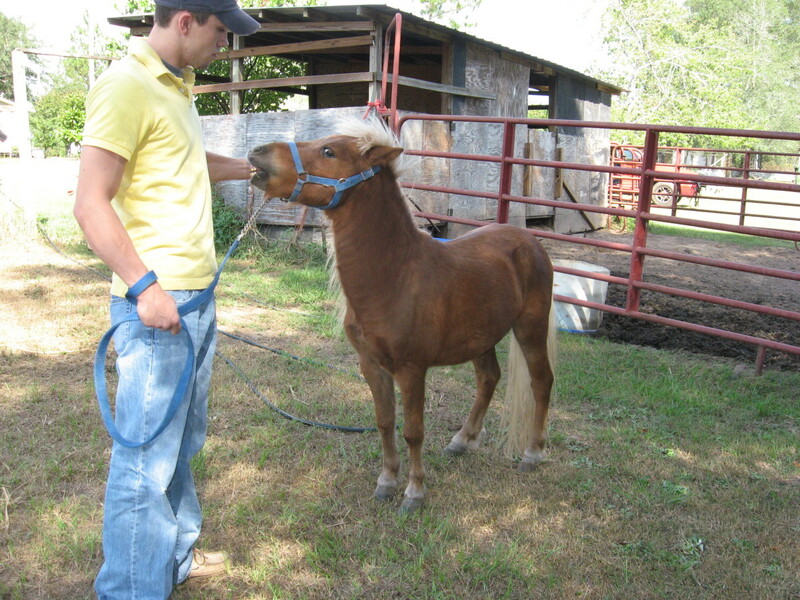 Equine Facilitated Learning (EFL) is used for children who have trouble communicating and relating with other humans. When therapists use EFL, their purpose is not to teach the children how to ride or care for horses. The goal of the therapy is to help children learn about themselves and others with a focus on how to communicate calmly and clearly. It has been clinically proven that just being near horses changes our brainwaves and the experience brings on a calming effect. People who participate in EFL are able to deepen their awareness of personal issues. They are able to take better control of their lives and learn about boundaries, limits, and control. The biggest factor about EFL that works for children and adults alike is the boost of self-esteem that occurs when people are working with horses. 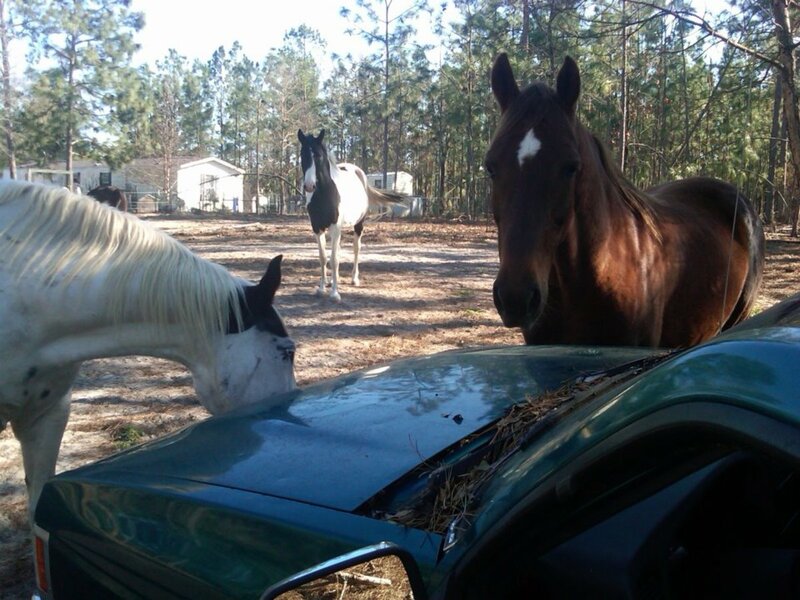 Horses are naturally defensive prey animals who are always on the lookout for predators. 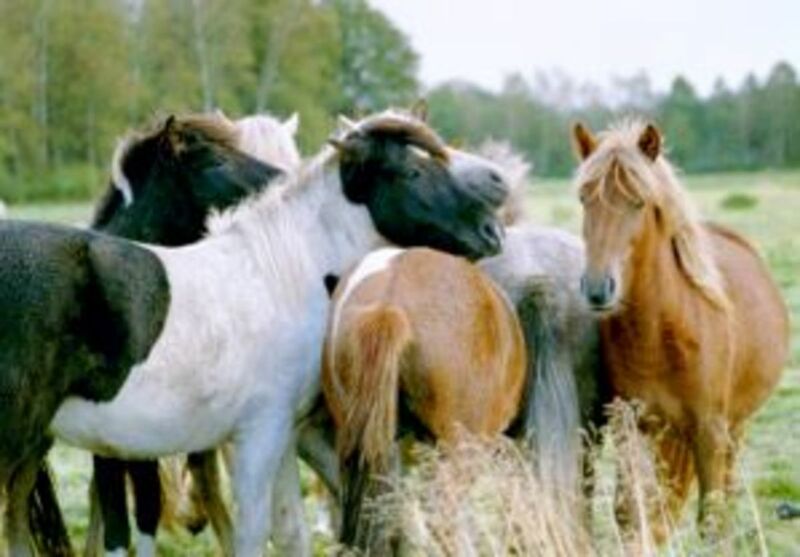 Horses are extremely fearful of people who are loud, rambunctious, and too controlling. In order to get a thousand pound horse to listen to commands is to be clear, concise, firm and gentle at the same time. 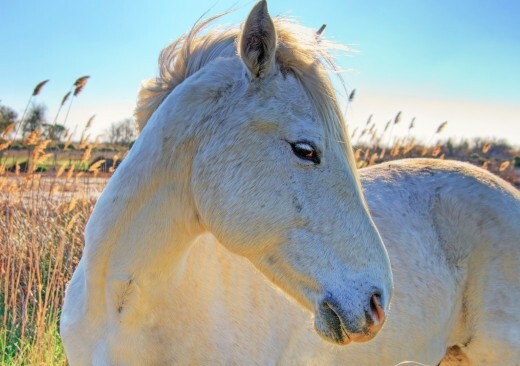 Horses tend to mirror what the human is doing and are therapeutic in the sense that they react to the human's emotions and behaviors immediately. 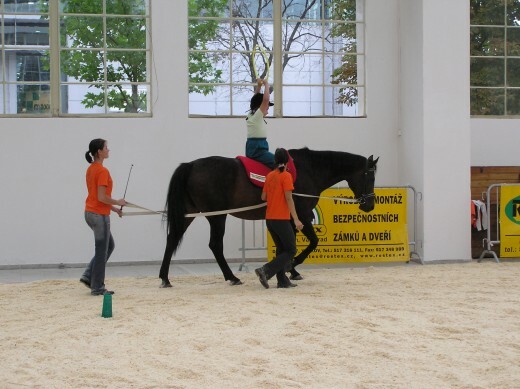 The horses' reactions provide people with opportunities to think, reflect, and change their behavior instantaneously. Horses refuse to listen to humans unless commands are calmly requested rather than yelled at them or impulsively dictated to them. Through refinement of requests, children learn how to calmly communicate in order to get what they want. This translates, for children, to their everyday lives and they are able to take better control of their behaviors on a daily basis. In addition, children with attachment disorders also learn to relate closely with another being. Relating well with a horse is a big step for children who can then, in turn, apply their skills to humans and begin to relate well with them too. Based on what they know about horses, therapists teach children to give horses commands and control them using very simple, exact language. When a mentally or socially disturbed child masters these commands, they feel they are in control of the horse and start to build on their self-esteem. A combination of being in charge and feeling good about themselves often helps children grow emotionally through the process. Since children often see horses as their equal rather than trying to take full control of them, they tend to be more successful at EFL than adults. Horses also tend to react better when they feel they are equal to the human rather than subordinate. "Children with ADD will focus on the horse for long periods while grooming or leading the horse when usually they can't concentrate long enough to do anything much. Autistic children who are withdrawn and living very much in their own world will begin to express themselves - often using new words or gestures they've never expressed before." The skills needed for mental focus, creative visualization, and clarity of intent are difficult to teach in a classroom within four walls. These skills are easily acquired when building a relationship with a horse. Most activities associated with EFL are done on the ground. 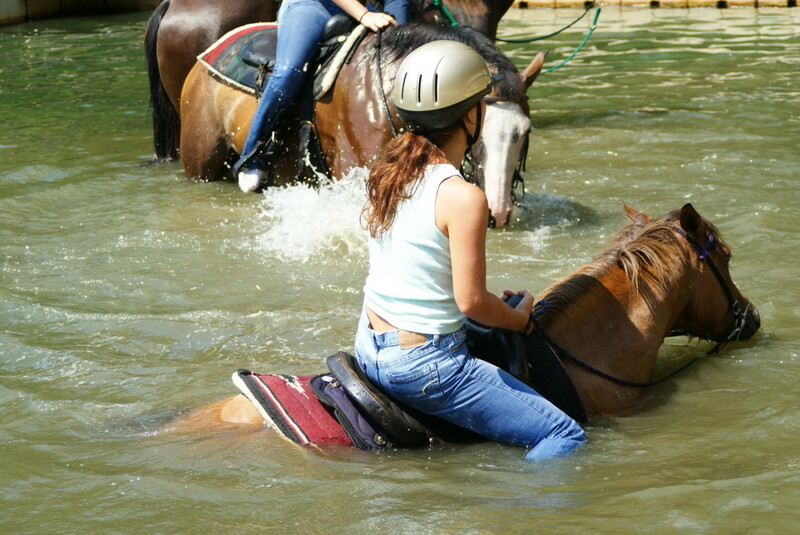 It is seldom that children end up on horseback for extended periods of time. These activities allow children to really focus on their task at hand for an extended period of time. Children realize that the horses are depending on them so they tend to step it up and care for the equines appropriately. When children participate in the above activities successfully, they tend to feel very good about themselves and feel that they are able to accomplish something. Their self-esteem gets a positive boost. "Horse-facilitated activities help people recognize and move beyond the coping strategies associated with surviving in a competitive world. Participants in EFL develop a thriving mind set capable of endless compassion, innovation, energy adaptability, and creativity." When children realize they can accomplish whatever they want when they put their minds to it, they begin to soar. Equine Facilitated Learning is one technique to help children realize and control their potential. EFL has given children with Attention Deficit Disorder focus and has opened up a communication door for those diagnosed with Autism. Innovative Horizons - Instructor-led or facilitated programs on leadership, communications, and team building, utilizing horses as experiential team members. Truly refreshing read. Thanks for enlightening me about the benefits. Nice article on the benefits of equine therapy! Denise: Glad to hear you believe in equine therapy. Just watching them graze, alone, is therapeutic. Watching them gallop is even better! Thanks for reading, and, as usual, thank you for your endless support! Cardelean: Wouldn't it be great if you had a horse on hand, say...out on the playground...that you could just call upon when needed? If it weren't for allergy issues in schools, I think dogs could also help calm kiddos down. rorymullen: It's great that you saw proof of equine therapy when you weren't even looking for it. You may need to think about getting your son a horse. :) By the way, it doesn't matter which breed of horse is used for therapy as long as they are gentle. Cindy: You are absolutely right...horses are most definitely esteem boosters. I grew up riding horses and felt, at times, that I related better with the horses than I did with my family and friends. L.L. Woodard: Wouldn't it be nice if these programs were as available as Starbucks or McDonald's? You're right in that both children and adults, alike, could benefit from these programs. Thank you, one and all, for reading my hub!! What wonderful programs these are; now to replicate it in many places so more children and parents can gain its advantages. Lot's of good info! Being around horses is also a great confidence builder for those of any age who may have a fearful nature or are lacking in self esteem. 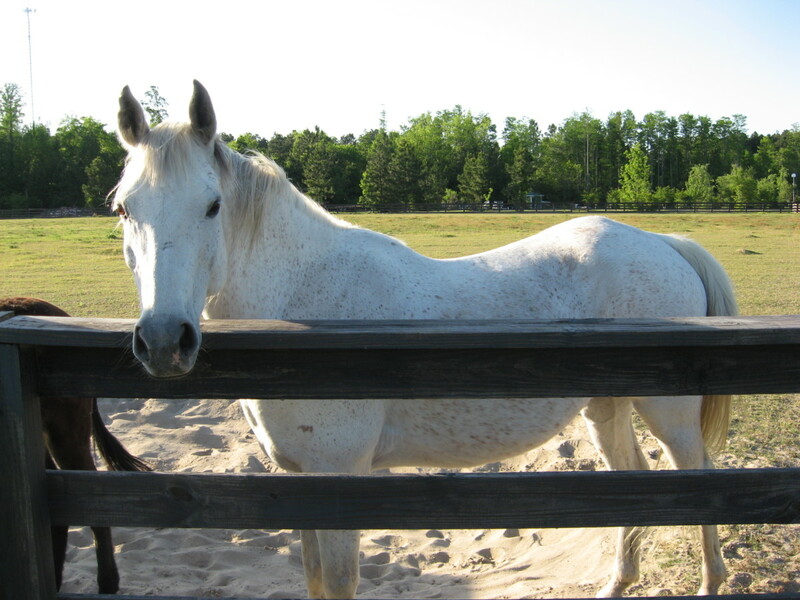 When it comes to mild and regular forms of asburgers horses tend to be amazing friends and helpers. We took a vacation and saw some horses, and our son bonded with the cutest horse ever. I think many children would do much better if taken from the normal school setting and returned outside to learn some school and life skills. Is there certain type of horses that work better.Also is it gender based for the horses, like does males work better with kids then females and so on. I knew I was missing something in my classroom, a horse! Maybe that would calm some of my students :) All joking aside, great up. I believe that animals in general can really impact a person's demeanor and help them relax, I just had never really thought of horses before. I love horses and am a firm believer in equine therapy!